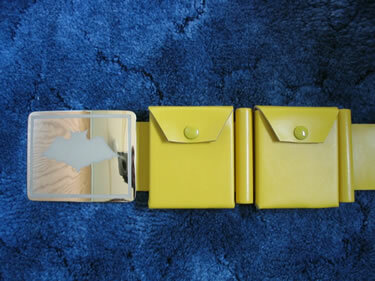 On the hollow utility belts the pouches are made of durable aluminum boxes which are hollow so you can actually put things inside them. 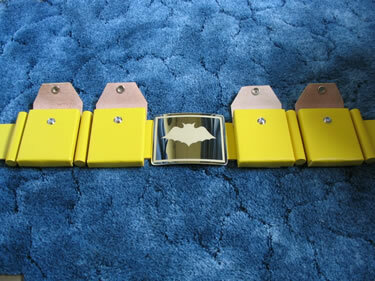 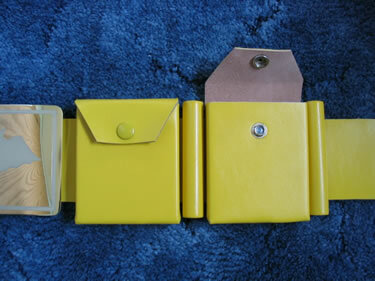 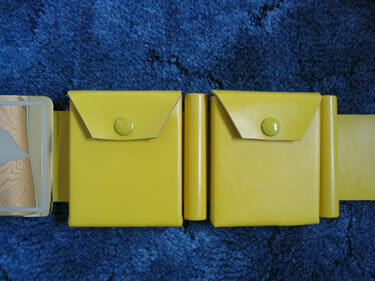 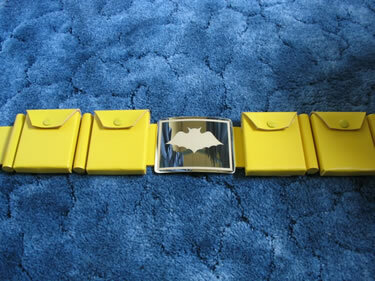 All four pouches are covered in yellow leather material and have working snaps that opan and close. 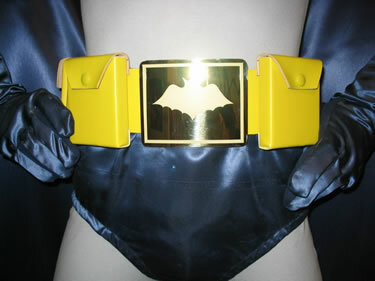 The belt itself is all leather and the two piece buckles are made of highly polished brass with the bat emblem etched in place just like the originals. 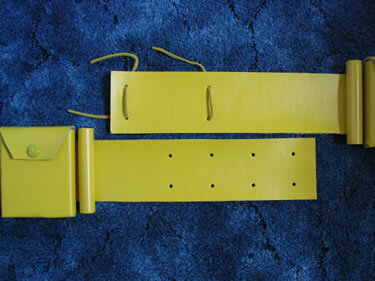 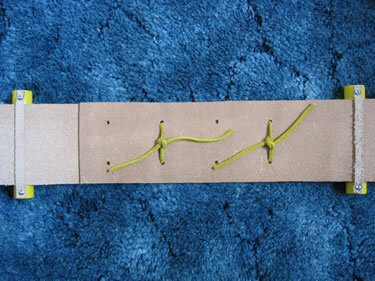 Each belt is adjustable in the back and ties together exactly like the original belts were on the show.